We’ve all gotten them from time to time. Dark circles under our eyes. Usually, they are due to either a lack of sleep or fatigue. But there are other reasons why you may be getting those dark circles under your eyes. In this article, we’ll explore the various causes and how to get rid of dark circles under the eyes naturally with a number of remedies that you can make in the comfort of your own home. If you are one of those people who get those dark circles—and no matter how much rest you get, they never seem to disappear—you will definitely want to read ahead. What Causes Those Dark Circles in the First Place? There are a number of reasons why you may get those dark circles under your eyes. Some of those reasons may surprise you. The most common reason for those dark circles is a lack of sleep or just being run down and tired. Believe it or not, you can also get those dark circles by oversleeping. You may have noticed that your mother or father may have those dark circles all the time, and now you have them as well. That could be because you got them from one or both of your parents as the dark circles can be hereditary. 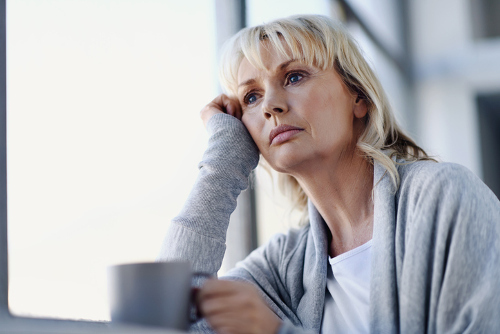 Stress, like sleep deprivation, is a simple way to cause these dark circles. You may just have thinner skin under your eyes than other people do. That allows the blood vessels under your eyes to be more apparent causing the look of dark circles. The thinning of the skin occurs as you get older so if you don’t have those dark circles now, you may get them in the future depending on what your skin is like. There are a number of people who have dark rings under their eyes due to pigment irregularities. People with this issue tend to be darker-skinned. The dark circles under your eyes can be the result of allergies, especially allergies that cause you to sneeze or have a runny nose. This added pressure can cause the blood vessels to come closer to the surface around your eyes causing the dark circle appearance. This works similar to having a black eye. Similar to how allergies can cause dark circles, excess fluid buildup can also cause pressure on your orbital skin area. This fluid buildup can be caused by illness or excessive salt intake (which can lead to retaining more fluid). Now that we know how these dark circles under our eyes can be caused, it’s time to explore the different ways on how to remove dark circles. Now please note, these natural remedies for dark circles will not work for all causes. For example, if you have dark circles due to pigmentation irregularities, these tips will not help you. If your circles are caused by a lack of sleep or fatigue, get some rest and continue to get some regular sleep. After a while, the circles will fade. Mix one teaspoon of tomato juice with one and a half teaspoons of lemon juice. Apply mixture under your eyes gently and let it stand for 10 minutes. Wipe away mixture with cold water. This treatment works best if used twice a day for two or three weeks. Believe it or not, this spa treatment that you’ve seen on television and movies actually does work for those dark circles under your eyes. 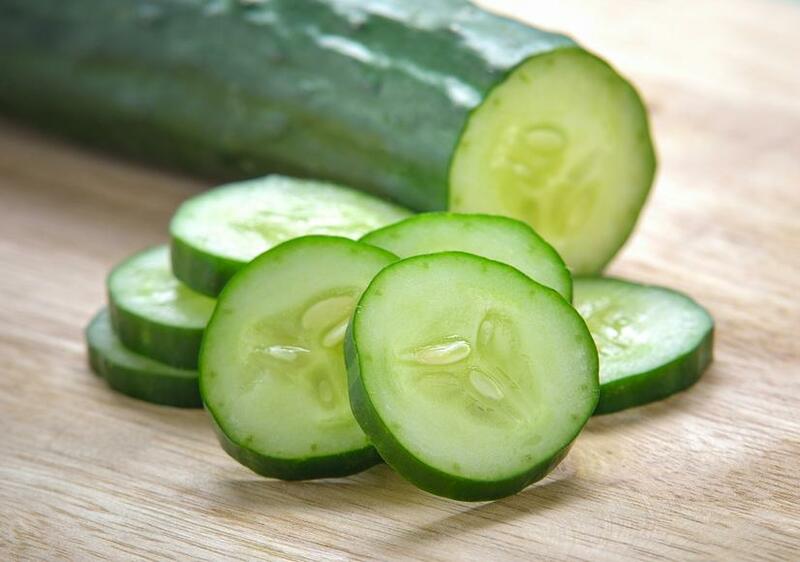 Take a cucumber and cut slices larger enough for the area. Place them on the dark circles and leave them there for at least 10 minutes. Remove and wash off with cold water. You will get the best results by doing this twice a day for at least a week. Almond oil can also work to get rid of those pesky dark circles. Apply the almond oil to the dark circles right before you go to bed and gently massage the oil into your skin. Leave it until the next morning. Wash it off in the morning with cold water. Coconut oil can be used in much the same way as almond oil. Apply coconut oil to the dark circles under your eyes before you go to sleep and make sure to gently massage the oil into those areas. Rinse in the morning with cold water. Raw potato can help get rid of the dark circles due to its natural bleaching properties. There are a few methods of using potato, the easiest is to cut two slices of raw potato and place them on the dark circles. Allow the slices to stay there for 10 or 15 minutes, remove them, and rinse the area with cold water. Another method is to grate the potato (or two potatoes) and dip a cotton ball into the juice. Cover the dark circle area with the juice and let it stand for 10 or 15 minutes. Rinse off with cold water. 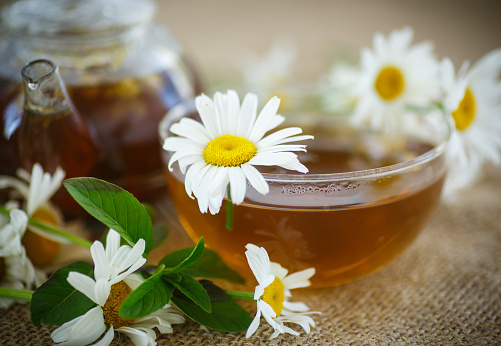 Chamomile tea contains caffeine and antioxidants that can help rid you of the dark circles when the tea bags are placed upon them. Take two tea bags and place them in a cup of hot water (or feel free to make two cups of tea). After they have steeped for a few minutes, take out the tea bags and when they are cool enough to touch, squeeze excess liquid from them. Place the tea bags in the fridge and let them cool for at least 15 minutes. Remove the tea bags from the fridge and place them over your eyes. Use the tea bags for approximately 15 to 20 minutes and then remove. Rinse the area with cold water and repeat during the week until the dark circles fade. Rose water has been used as a natural beauty product for centuries, but it may also help you with those dark circles. Soak cotton balls in rose water and then place them on the areas under your eyes. Let them sit for 15 minutes and then rinse off with cold water. For best effectiveness, do this every night for a month. This concoction can help with the bags under your eyes due to the antioxidant properties of turmeric. Mix two teaspoons of turmeric with pineapple juice and make a thick paste. Spread the paste on the dark circles and leave it for about 10 minutes. Remove the paste with a damp cloth. Works best if done daily. 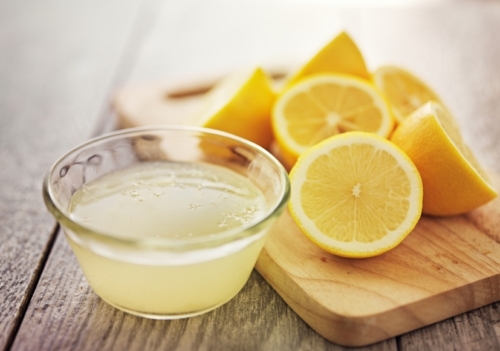 Lemon juice on its own can also help with the dark circles. Squeeze fresh juice from one lemon and then soak a few cotton balls in it. Take the cotton balls and apply the lemon juice around the eye area. Leave the juice for 10 minutes and then rinse off with cold water. For best results, do this once a day for a couple of weeks. These are a few of the best ways you can get rid of dark circles naturally, but there are a few words of warning. Be careful to get none of these in your eyes, as they may irritate your them and cause worse problems than dark circles. If you have an allergic reaction to a method, stop it immediately. If you have any further concerns, talk to your doctor. Under-eye dark circles, in most cases, can be treated naturally. Whether it is by getting a little more sleep, or by using one of the treatments above, there’s a very good chance you can deal with your dark circles without having to resort to cosmetics or chemicals. Some of these treatments will work for some people. Other people may have luck with a different set of treatments, but hopefully one of these natural remedies will work for you.